Working With Families in Medical Settings provides mental-health professionals with the tools they need to figure out what patients and families want and how, within the constraints imposed by 21st-century healthcare setting, to best give them the care they need. Psychiatrists and other clinicians who work in medical settings know that working with a patient with a chronic illness usually entails work with that patient’s family as well as with other medical professionals. Some families need education; others have specific difficulties or dysfunctions that require skilled assessment and intervention. It is up to the clinician to find productive ways to work with common themes in family life: expressed emotion, levels of resilience, life-cycle issues, and adaptation to illness, among others. Enter Working With Families in Medical Settings, which shines a spotlight on the major issues professional caregivers face and shows them how to structure an effective intervention in all kinds of settings. 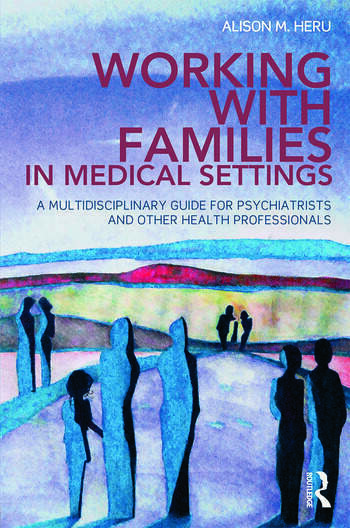 Psychiatrists, particularly those in psychosomatic medicine, and other clinicians who work with the medically ill will find Working With Families in Medical Settings to be an essential resource and guide to productive relationships with patients and their families. Alison M. Heru, MD, is an associate professor of psychiatry at the University of Colorado-Denver School of Medicine and an associate professor of medicine at National Jewish Medical and Research Center. She is the coauthor of Working With Families of Psychiatric Inpatients: A Guide for Clinicians and Clinical Manual of Couples and Family Therapy.